NYC, 02/22/2019, 7:00PM. 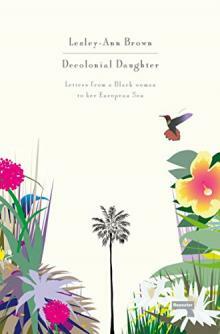 Decolonial Daughter: Letters from a Black Woman to Her European Son. Decolonial Daughter explores motherhood, migration, identity, nationhood and how it relates to land, imprisonment, and genocide for Black and Indigenous peoples. What treasures lie beneath the surface of our understanding of our past, that shape who we are today? What powerful stories guide our existence and understanding of the past? Through our exploration and acceptance of other perspectives, can we begin to pave the way towards liberation in hopes of understanding who we truly are?